BANANA MOON women’s black stretch pants The CAMPHOR CAMBENSY trousers are a piece from the BANANA MOON line. These CAMPHOR CAMBENSY trousers are the kind of casual trousers that we love to have. Made with stretch milano fabric, the joggers design gives this item a sportswear style. Adjustable at the waist with a lace belt, these trousers can either be worn rolled up or down. Two large front pockets emphasise the joggers design of these CAMPHOR CAMBENSY pants. The pockets close with a black zip embellished with a black, metal star-shaped eyelet. 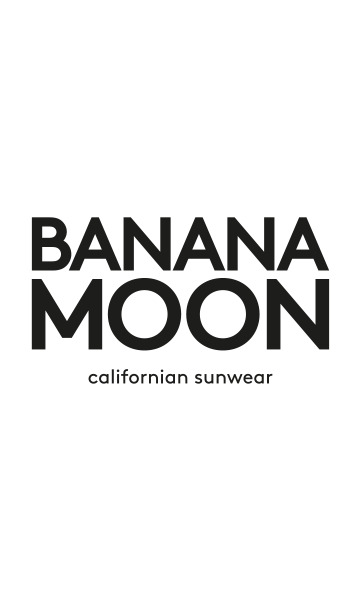 The Banana Moon brand is represented by a branded crest embroidered under the left pocket. Worn with a colourful sweatshirt or T-shirt, these pants that be matched with many different styles. The trendy WINGER sneakers with their black sequins add a girly touch. You will love these pants for how comfortable they are on the inside. They are a delight and their joggers shape is a timeless design that we just love to wear on any given day. Enjoy a sporty Californian in the city look with a totally Banana Moon sportswear ensemble that combines comfort with style. Our model is 5’9” and is wearing a size 38.